MAC has released your favourite red lipsticks in duos! 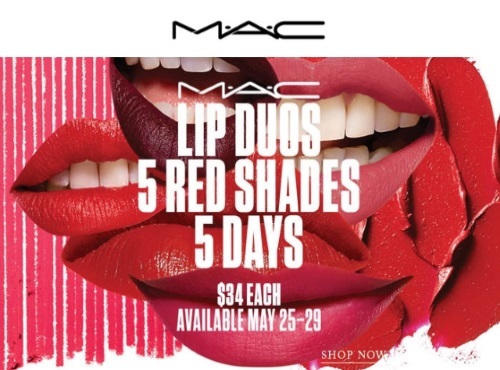 For a limited time get a matching MAC lipstick and lip pencil for $34 (a $42 value). Enter the promo code MACLIP at checkout. Offer is available for five days only,May 25-29, 2017. Click here to browse this MAC deal at Hudson's Bay.